Few firms can offer the breadth and depth of advice like Becketts. 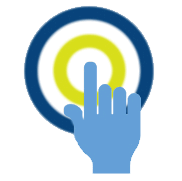 Our holistic service means you can benefit from the highest standards of advice whether you are a private individual seeking investment options or an HR Manager looking to provide healthcare cover to your people. Independent financial advice to make sure you remain on course to achieve your financial objectives. We help you make sure you're making the right choices for your future. 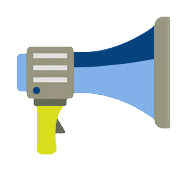 Demonstrate your organisation's values by delivering the right employee benefits. 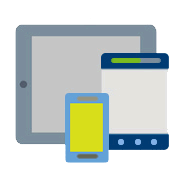 We work in partnership with more than 600 organisations, large and small, across the UK. 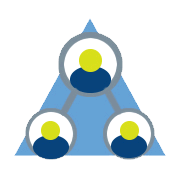 Our clients enjoy the advice of some of the most highly qualified and experienced Consultants in the industry. Click on the + sign to view the people in each team. 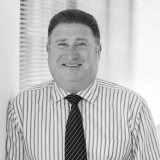 Ian is a Chartered Accountant who was originally Group Finance Director of the Beckett Group until 1999. 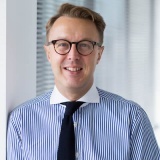 He is now Managing Director after undertaking finance roles in EDF and DHL and then more latterly as a Director in the healthcare sector for privately owned groups together with private equity. Ian is passionate about building teams to deliver excellent customer service and developing innovative solutions to meet customer needs. All of Ian's spare time is taken up driving his two daughters around the country to compete in show jumping competitions. John is a Chartered Financial Planner and Fellow of the Personal Finance Society, the highest accreditations awarded by our professional body, the Chartered Insurance Institute. 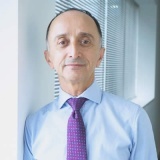 With over thirty years experience in our industry he is widely recognised as one of the UKs leading exponents in providing independent financial advice, whether to businesses concerning their employee benefits programmes and other corporate financial planning requirements, or by way of wealth management solutions for individuals. The quality of his exceedingly loyal client bank is testament to Johns high standards and attention to detail. In his spare time John is a fitness fanatic and he has a keen interest in sport in general. 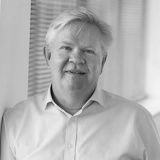 Robert has been Chairman since the business was founded in 1988 and has over 40 years experience in Financial Services. He is a past National President of the Chartered Insurance Institute and is qualified to Chartered Status. In his spare time he enjoys country sports and is a keen golfer. 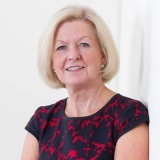 Sally has been a Director of the business since its inception 1988, and is now a non-executive Director, chairing Board Meetings. She enjoys spending time with her family, keeping (reasonably) fit and playing golf. Andy began his career in Employee Benefits as a pensions administrator for an insurance company. His career culminated in owning an EB and Wealth Management business which he sold in 2012. After the sale, Andy became Managing Director of an EB brokerage in central London where he was responsible for the day to day running of the business and 30 staff. Following the sale to private equity, Andy joined Becketts in July 2018. Excepted and registered group death in service schemes. Andy lives in Petts Wood, in the London Borough of Bromley, and keeps fit with gardening, riding his cyclocross bike and practising yoga (badly!). Please contact Andy to discuss your existing employee benefit arrangements and how Becketts can help you. Nicola is a main Board Director. 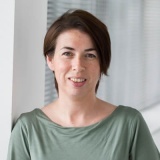 She joined Beckett in 2001 having worked in financial services since 1996. 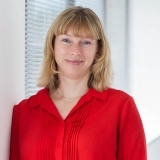 She has a Business Management degree from Aston University and is a Chartered Financial Planner. 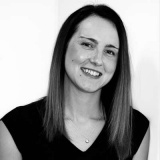 Nicola is an employee benefit specialist and has overall responsibility for the Employee Benefit team. 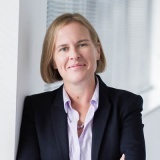 She has a vast amount of experience advising companies both large and small, and she has a particular interest in group companies that have grown through acquisition and need to harmonise benefits. Out of work, Nicola is a busy mother of two. 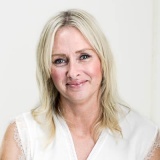 Val leads the Private Healthcare team and has been in the private medical insurance industry for over twenty years. Most of that time has been with Becketts. While at work, she is passionate about offering the best advice to clients backed up by excellent customer service. In her time off she just loves to be working in her garden. 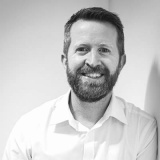 Ben joined Becketts in 2010 and was promoted to Director of Private Clients in 2015. 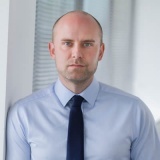 He is a member of the Chartered Insurance Institute and, through examination, is a Fellow of the Personal Finance Society and Chartered Financial Planner. He is a Registered Individual with the Financial Conduct Authority and authorised by Beckett Financial Services Limited.As a senior member of BFS Private Client team, he specialises in advising individuals and business owners on wealth management, tax and estate planning matters. With what little spare time Ben has, he spends with his young family and if time permits, and the weather, he plays the odd round of golf  and it is! 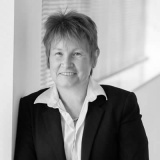 Lynne has been a Director since 1999, with extensive experience of motivating and developing teams. She is responsible for all Human Resource policies, and is a keen traveller and enjoys socialising over a good meal. Samantha joined Beckett Asset Management in 1999 and she is well equipped to deal with both recessionary and buoyant economic conditions. 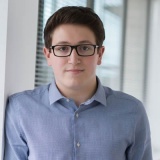 Sam is our Portfolio Manager, actively running Beckett Asset Managements four portfolios. 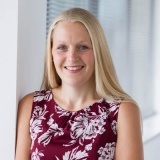 Samantha is currently studying for the Chartered Institute for Securities and Investment (CISI) Wealth Management Masters, a globally recognised higher level qualification. She is CF30 (Investment Management) registered with the FCA. Married and living locally, she enjoys the countryside and spending time with family and friends, and aerobics. She was a football referee but, admittedly, is more of an armchair supporter now. 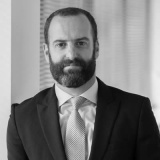 Gavin joined Beckett in 2015 with over seventeen years' experience in financial services. His career began in 1997 at Cook Sheppard Pinhey, Ipswich, where he was mentored in the importance of holistic financial planning. In 2014, Gavin won the 'Prize Committee Award for Excellence' from the Chartered Insurance Institute of Ipswich, Suffolk and North Essex. 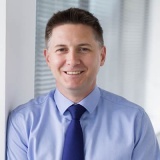 He is a Chartered Financial Planner and Fellow of the Personal Finance Society, the highest accreditations awarded by our professional body, the Chartered Insurance Institute. Gavin is a Registered Individual with the Financial Conduct Authority and authorised by Beckett Financial Services Limited. Lesley has worked for Becketts since 2001. 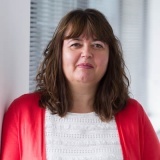 She builds and develops the Bury support teams who work with the consultants and manages the systems and processes. In her spare time she enjoys travel, particularly to Italy. John is a Chartered Financial Planner and Fellow of the Personal Finance Society, the highest accreditations awarded by our professional body, the Chartered Insurance Institute. 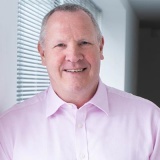 With over thirty years' experience in our industry he is widely recognised as one of the UK's leading exponents in providing independent financial advice, whether to businesses concerning their employee benefits programmes and other corporate financial planning requirements, or by way of wealth management solutions for individuals. The quality of his exceedingly loyal client bank is testament to John's high standards and attention to detail. In his spare time John is a fitness fanatic and he has a keen interest in sport in general. 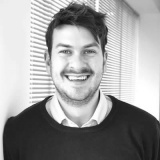 Ben joined Becketts in 2010 and was promoted to Director of Private Clients in 2015. 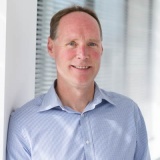 He is a member of the Chartered Insurance Institute and, through examination, is a Fellow of the Personal Finance Society and Chartered Financial Planner. He is a Registered Individual with the Financial Conduct Authority and authorised by Beckett Financial Services Limited. As a senior member of BFS Private Client team, he specialises in advising individuals and business owners on wealth management, tax and estate planning matters. With what little spare time Ben has, he spends with his young family and if time permits, and the weather, he plays the odd round of golf - and it is odd! 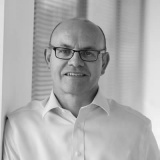 John started working at Becketts over 20 years ago and specialises in providing financial planning for high net worth individuals. 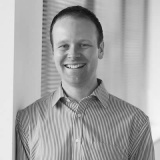 He is an Associate of the Chartered Insurance Institute and a Chartered Financial Planner. 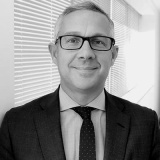 He was appointed as Associate Director of the Private Clients Team at Becketts and has been involved with the training and development of other advisers, and contributing to technical areas and investment committees. He is a designated Drawdown Specialist and Occupational Pension Transfer Specialist. John is an enthusiastic fisherman and also enjoys watersports, hiking and cooking. Peter joined Becketts in September 2013 and has 15+ years financial services experience working with both commercial and personal clients. He is a Registered Individual with the Financial Conduct Authority and is authorised by Beckett Financial Services Limited to provide independent financial advice to clients with pension, retirement or protection needs. Outside of work, Peters time is devoted to his family and enjoys running. Paul entered the financial services profession in 1977 and having spent the first 10 years working with two major insurance companies in London he has been an Independent Financial Adviser for the past 27 years.Paul is a Registered Individual with the Financial Conduct Authority and by examination holds the designation Dip PFS. 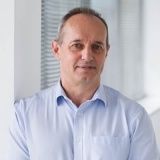 Having spent sixteen years with the Beckett Group between 1992 and 2008 Paul has just returned to the company in the role of a Senior Consultant. Although he advises his clients on various aspects of tax and financial planning he has tended to specialise in the area of pensions and retirement planning. 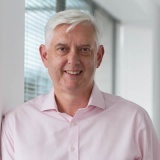 Simon began his career at an insurance company over thirty years ago administering pensions and, subsequently, held senior positions at leading accountancy firms and private banks in the City. He established the corporate pensions department at the then largest ethical-focused IFA and maintains a keen interest in ethical investing for clients. More recently, Simon works closely with a homeless charity in Ipswich which complements his interest in ethical investments. Simon holds a range of Financial Planning Qualifications including those in Advanced subject areas. He is a Registered Individual with the Financial Conduct Authority and is authorised by Beckett Financial Services Limited to provide independent financial advice to clients. Outside of work Simon is a youth Rugby Coach, infrequent golfer and confirmed petrolhead (aka Taxi to his sport-mad sons). 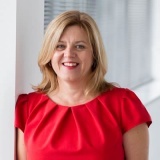 Jenny joined Becketts as a Senior Consultant in August 2018, having over 20 years' financial services experience. She specialises in Retirement and Later Life planning, and is an accredited member of the Society of Later Life Advisers (SOLLA). Outside of work, Jenny enjoys spending time with her family. When not ferrying her children around to their activities, she can often be found walking the family dog along Felixstowe Prom. Matthew joined Becketts in September 2018 and has 10+ years of financial services experience. Matthew has worked with personal clients, managing their financial affairs, and also has experience dealing with vulnerable clients, specifically clients who have suffered serious injuries or from medical negligence. He is a Registered Individual with the Financial Conduct Authority and is authorised by Beckett Financial Services Limited to provide independent financial advice to clients with retirement, investment, inheritance tax or protection needs. He is also qualified to the level of Chartered Financial Planner through the Chartered Insurance Institute (CII). Outside work Matthew enjoys spending time with his wife and three young children and if time allows playing football and squash. Ian has been in financial services all his working life, having joined Sun Life Assurance (long since amalgamated into Axa) from school at age 18. Ian became an Independent Financial Adviser in 1997 and many of the individuals he looked after are still clients today. He has worked at a number of companies in East Anglia and specialises in investment and retirement planning. After taking a three month sabbatical, Ian is delighted to be back working in the independent financial advice arena with Becketts, and looking forward to renewing relationships with many ex-clients. Away from work, Ian has been a keen sportsman throughout his life, although with the passing of the years his involvement has changed from being an active participant to running football teams his two sons were involved with and, latterly, to refereeing. Nowadays, his participation is more of the armchair variety. For his sins, Ian is a staunch West Ham supporter, which brings with it a variety of challenges! 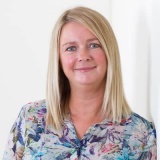 Louise rejoined Becketts in January 2015 as Consultant Support in the Private Clients Team having worked between 2002 to 2008 as HR/Payroll Office. 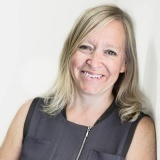 Louise brought with her 25 years experience working in both finance and administrative roles, and she was promoted to Financial Consultant in 2018. Outside of work Louise now enjoys gardening, cooking/socialising and reading but previously spent eight years volunteering as a Citizens Advice Bureau Adviser. 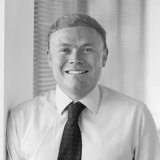 Scott joined Becketts in 2014 and has since progressed to his current role as a Private Client Consultant, having previously worked closely alongside several of our Associate Directors. He holds the CII Advanced Diploma in Financial Planning, Certificate in Equity Release and Award in Long Term Care Insurance. Outside of work, football is Scott's main interest and he is a long suffering Ipswich Town fan. Helen joined Becketts in July 2017 as Senior Consultant Support in the Private Clients Team. 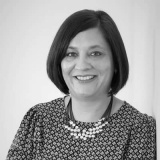 She has completed her CII Diploma in Regulated Financial Services and brings with her over 20 years of experience in the financial services industry. Away from work, Helen enjoys running, cooking and spending time with her family. 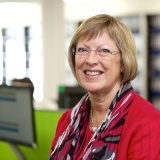 Jane has worked in financial services for 35 years. She began her career working for an Insurance company in north London and moved to Suffolk in 1987. 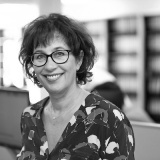 Her role at Becketts is to support the Private Client Consultants with providing the best services to clients. Outside of work, she spends her time taking her children to their various activities, and walking her dog. 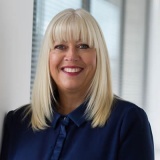 Dawn's Financial Services experience spans 25 years and for the last 15 years she has been a member of the Beckett Financial Services in-house administration team. Having gained a range of expertise in both Private Client and Employee Benefit work, her current role is supporting our senior consultants. 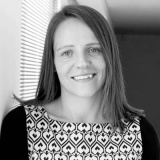 Keri joined Becketts in 2000 and supports the Private Clients consultants. She holds the Certificate in Financial Planning from the Personal Finance Society. 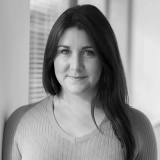 Jess joined Becketts in 2012 and supports the Private Client consultants. She holds the Certificate in Financial Planning from the Personal Finance Society, and is an experienced para-planner. Jess enjoys being a new mum to Poppy and days out with her family. 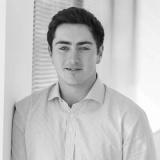 Sam joined Becketts at the end of 2016 having moved back to Suffolk from London where he had completed his degree and worked for an insurance broker. He supports the Private Client Consultants and holds a Diploma in Regulated Financial Planning. Kirsty has worked in Financial Services since 2008. She started in Discretionary Fund Management and moved over to Private Client administration and then to Consultant Support in 2010. She holds the Diploma for Financial Advisers, having qualified in 2012. Outside of work, Kirsty is a qualified Exercise-to-Music instructor and teaches two classes a week. She has two young children and likes music, Zumba and spending time with friends. She can often be found quizzing! Adam joined Becketts in 2014 after completing his A Levels. He holds the Diploma in Regulated Financial Planning DipPFS as well as the Certificate in Discretionary Investment Management CertCII (DM), and is currently studying towards the CII Diploma in Regulated Financial Planning. Adam’s Technical Consultant Support involves providing a high level support across the Private Client team and to a nominated Private Client Adviser. Outside of work, Adam is a keen support of the Chicago Bears American football team, and often visits Wembley Stadium to watch the International Series. 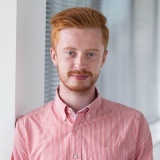 Jonathan joined Becketts in 2017 after completing his BA (Hons) degree in Economics at Nottingham Trent University where he achieved first class honours. Jonathan’s Technical Consultant Support involves providing a high level support across the Private Client team and to a nominated Private Client Adviser. Jonathan also works on a number of different projects within the firm that focuses on improving client service. He is currently studying towards the CII Diploma in Regulated Financial Planning.Outside of work Jonathan is a keen golfer, of which he is a member at Ufford Park and he is a long suffering West Ham season ticket holder. Joel joined Becketts at the beginning of 2017 after spending 18 months at a legal firm in Ipswich where he completed an NVQ in Business & Admin. He is currently studying for his Regulated Diploma in Financial Planning through the CII. David joined Becketts in 2016 coming from a final salary pension background. 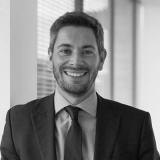 He has a first class honours degree in business management and currently supports the Private Client consultants. He is hoping to pass the Chartered Insurance Institutes Diploma in Regulated Financial Planning in early 2019. In his spare time, David enjoys playing football and going on holidays skiing when he gets the chance. McCauley joined Becketts in 2017 after graduating from the University of Brighton with a 2:1 in Business. He currently supports some of the Private Client consultants and is currently studying the Chartered Insurance Institute's Diploma in Regulated Financial Planning. In his spare time, McCauley is a keen sports player with a particular affinity with football and American football. Jess joined Becketts in July 2018, shortly after completing her A Levels in English Language, Geography and Sociology. She is now studying for her Regulated Diploma in Financial Planning through the CII whilst in a consultant support role. Nicola is a main Board Director. 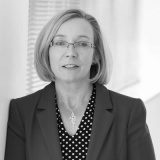 She joined Becketts in 2001 having worked in financial services since 1996. 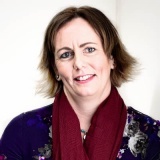 She has a Business Management degree from Aston University and is a Chartered Financial Planner. Nicola is an employee benefit specialist and has overall responsibility for the Employee Benefit team. 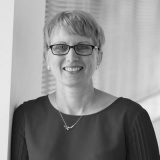 She has a vast amount of experience advising companies both large and small, and she has a particular interest in group companies that have grown through acquisition and need to harmonise benefits. Gareth has been with Becketts working in employee benefits for over ten years and specialises in medical insurance. He is well qualified in his field and is a member of the Association of Medical Insurance Intermediaries. 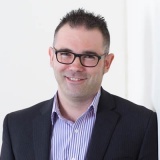 Gareth has developed excellent relationships with providers, and has amassed plenty of experience working with clients of all sizes and sectors. Richard joined Beckett Financial Services in September 2010 and he advises on, and manages, company and individual private medical insurance policies. 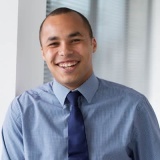 Prior to joining Becketts, Richard worked as a key account manager for AXA PPP Healthcare for over four years. In his spare time Richard is a keen rock climber and mountaineer, and he can usually be found in the Lake or Peak District climbing and hiking. 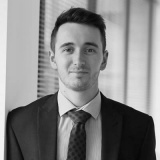 Brett joined Beckett in November 2017 as an Employee Benefits Consultant to assist companies with pensions auto-enrolment and their employee benefit schemes. He has over 3o years of experience in the financial services industry and holds the Level 4 Diploma in Financial Planning, Dip PFS, and the Certificate in Auto-Enrolment. Outside of work Brett enjoys time cycling, walking and travelling with his family, and is a keen snooker player. Donna has worked in the employee benefits market for nearly 20 years and has advised many clients during that time. She has also achieved her Cert CII in Health & Protection. Building strong relationships based on trust and integrity is Donna's driving force. She particularly enjoys holding the hands of clients looking to implement and promote benefits for maximum engagement. Outside of work Donna enjoys music, yoga, travel, and is currently studying mindfulness. 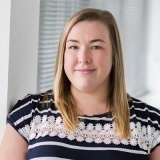 Clare joined Becketts in May 2013 in a Business Support role, to help with the development of clients within the Healthcare and Employee Benefit Team. More recently, she has become a Consultant in the Healthcare team. Clare enjoys spending time with her family and travel. She also likes to keep fit and takes a keen interest in clothes and fashion. Austin joined Becketts in 2014 as an employee benefit consultant, principally to help with pensions auto enrolment and assist companies with their employee benefit solutions. He has over twenty years of experience in the financial services industry which is enhanced with a CII Level 4 Diploma in Financial Planning, including G60 Pensions. A keen golfer, Austin has twice been Norfolk County Champion and also won the Norfolk Open. He currently plays 'off scratch'. 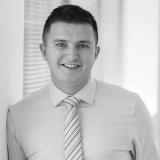 Martin has been working in employee benefits since October 2012 and his current focus is supporting Becketts high quality auto enrolment proposition as an Account Manager. Martin currently holds a Level 3 NVQ in Financial Planning and Services, and the Certificate in Financial Services, Cert CII (FS). He is working towards his Diploma in Financial Services and aims to complete it soon. Outside of work, Martin spends his time participating in charity events, film, video games and the sciences. 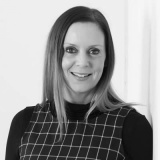 Nicki joined Beckett in April 2010 and brought with her the experience and knowledge in Financial Services having previously worked for a major national mortgage provider. 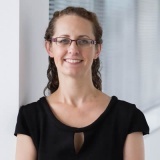 Nicki's current role entails working with our Group Risk Clients, where attention to detail is a necessary requirement, and including liaising with insurers for the benefit of our valued clients. Nicki enjoys socialising and getting involved in local events. Tina has 22 years of experience in the insurance industry: sixteen years working as a Claims Handler and six years as a Commercial Trading Underwriter. She is married with two teenage boys, and loves spending her free time with her family, going to the movies and travelling abroad as much as possible. Emma joined Becketts in 2016 and she supports our Associate Director in Healthcare, Gareth Carroll. She is currently studying the Chartered Insurance Institute's IF7 qualification in healthcare insurance products. Outside of work, Emma enjoys travelling, nice food and walking her dog. Sarah joined Becketts in July 2017 as an Account Handler in the Healthcare Division. She had worked in financial services in the past but, more recently, she worked in other managerial and administrative roles. In her spare time she likes to run and cycle, and also enjoys live music. She enjoys travelling and exploring new countries; her favourite places are Australia and the Greek Islands. 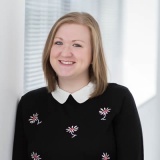 Clare joined Becketts in February 2014 in a Business Development role and currently supports the Healthcare & Employee Benefit Team at Kibworth. Graduating from a Textile Degree her previous roles evolved through Colourist, Designer, Senior Buyer and Product Manager. Her experiences give her a commercial outlook and she enjoys speaking to prospective new clients in a supportive role. Leonie has a BA (Hons) in Business Management and joined Becketts in 2016. She is currently studying the Chartered Insurance Institute's Diploma in Regulated Financial Planning. Outside of work, Leonie enjoys skiing when the opportunity arises, and spending time with family. 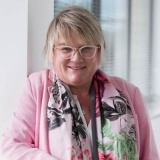 Kim joined Becketts in 2018 with a long career in financial services; she worked for Lloyds Bank for 27 years, and Santander for 12 years. 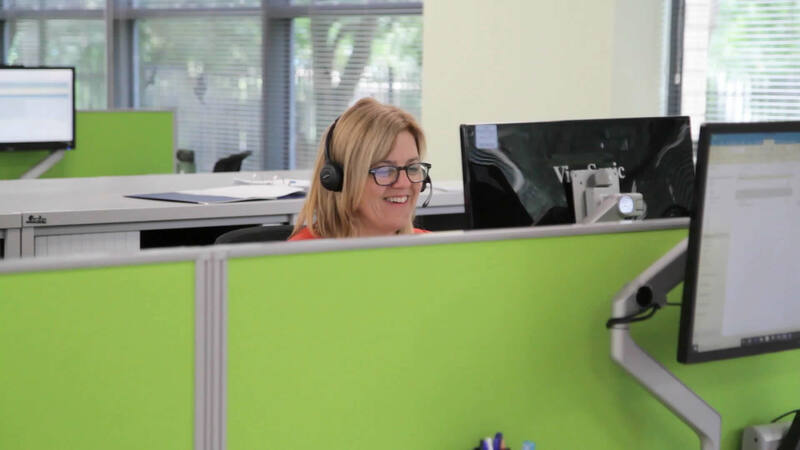 Kim supports our Employee Benefit consultants in delivering solutions to Becketts corporate clients. Outside of work, Kim enjoys Tudor and Stuart history, and regularly visits places of historical interest. Limara joined Beckett's in 2015 and supports the Healthcare consultants. She holds a NVQ level 3 in customer services and has over nine years of customer service experience. 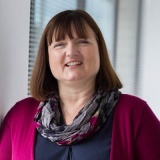 Liz began working at Becketts in 1997, primarily in a sales support role along with five years spent organising and managing events. When not in the office Liz cooks, swims, walks and bikes as much as possible, and she loves to spend as much time as possible with her two young grandsons and huge extended family. 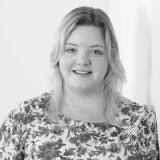 Rebecca joined Becketts healthcare team in 2015 having previously worked in the insurance industry, and for the NHS. She has four children, 2 girls, 2 boys, and she is currently consumed with wedding planning after her partner recently proposed! 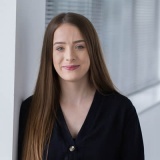 Lucy joined Becketts in 2018 as Business Development Support with the Healthcare & Employee Benefit Team. 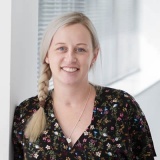 She is a BA (Hons) Business graduate and has worked in product development and project management roles before taking a family career break and a relocation from the south. During this time she deepened her love of practising and teaching yoga and meditation, and has more recently developed her skills in the legal conveyancing sector. Outside of work, Lucy loves to explore the great outdoors with her family and is a keen experimental vegetarian cook. 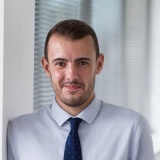 Stephen joined Becketts as a Trainee Account Manager in the Employee Benefits team in January 2019. His professional and enthusiastic approach has helped him gain a good working knowledge of group risk products, business protection and other areas of Employee Benefits. In his spare time, Stephen likes to snowboard, play football, watch Tottenham Hotspur and play league poker. 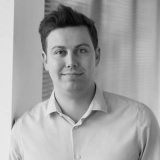 James joined Becketts in 2018 and currently supports the Corporate Team in delivering Group Risk, Auto-Enrolment and a variety of other employee benefits. He is currently studying the Chartered Insurance Institute's Diploma in Regulated Financial Planning. In his spare time, James a very keen golfer, and enjoys tinkering with cars. 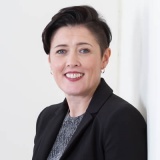 Samantha joined Beckett Asset Management in 1999 and she is well equipped to deal with both recessionary and buoyant economic conditions. 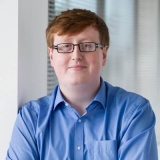 Sam is our Portfolio Manager, actively running Beckett Asset Management's six portfolios. 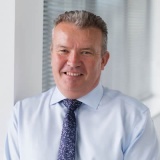 Tony joined Beckett Asset Management in January 2019. 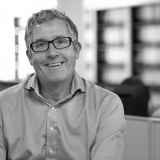 He has more than 25 years’ experience in managing private client portfolios and collective investment schemes. Before joining BAM, Tony ran his ow consultancy business advising on investment management as well as working for a ratings agency. He holds the Investment Management Certificate of the Institute of Investment Management and Research and is a chartered member of the Chartered Institute for Securities and Investment. In his spare time, Tony enjoys walking and shooting. He is also a keen motor racing fan. Graduating in 2018 with a first class degree in International Finance and Investment, Elliot joined Beckett Asset Management as an Investment Analyst. He was previously employed by BAM for six months as part of his degree studies. He holds the CISI (Chartered Institute for Securities and Investment) Investment Advice Diploma in Derivatives and is currently working towards the Chartered Financial Analyst certification. In his spare time, Elliot is an avid golfer playing to a handicap of six. He also has a passion for skiing. Mark began his career in financial services in 2000 at a large national insurance company after leaving full time education. He found that he enjoyed working with all types of clients and expanded his knowledge whilst also achieving the CII Diploma in Insurance, and the Diploma in Financial Planning. 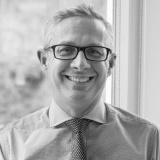 Mark joined Becketts in 2015 and supports our overall objective to provide clients with a comprehensive financial planning service that meets their individual aims. He lives in the Bury St Edmunds area and enjoys taking part in a range of sporting activities including keeping fit. Caroline joined Becketts in 2001 as PA to the Chairman and Managing Director. She became responsible for HR in 2015 and is Becketts HR Officer. She passed the CIPD Level 3 Foundation Certificate in Human Resource Practice in 2017. Out of work, Caroline is busy with her 12 year old and volunteers as a secretary to her local library's fund raising committee and is also administrator for her local Cub Scout group. 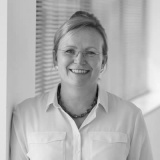 Claire joined Becketts in 1999 and has worked in variety of different finance roles before becoming Head of Finance. Claire is AAT qualified and is part way through studying the CIMA qualifications. Outside of work, most of Claire's time is taken up with her two little boys. When she does have some down time, she likes to relax by socialising with friends & touring the countryside in the family's trusty campervan! Amy joined in February 2016 from a background in administration. She took on a Finance support role in December 2016 and is currently completing the AAT accounting qualification. In her free time, she likes to socialise with friends, go to Zumba and take her large dog for walks. 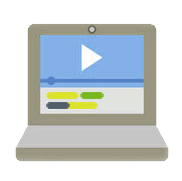 Philip's career in marketing began in 1990 at a marketing agency and he has worked in a variety of different roles covering all marketing disciplines. He joined Becketts in 2013 and has completed the CII's Diploma in Regulated Financial Planning. Outside of work, Philip enjoys walking and any kind of travel. Michaela joined Becketts in February 2018 as our Receptionist/Administrator. She comes from a background of secretarial and reception/customer care. She enjoys her holidays and exploring new places, reading and spending time socialising with her family and friends. Calm, no nonsense, knowledgeable, friendly approach. Prompt responses from my consultant to queries. Reassurance of not dealing with a one-man band or backroom-billy adviser with limited back-up and resources. We have been dealing with John and colleagues for quite a few years now and are completely happy with the service provided. We trust the advice we receive, and rely on John telling us about changes in the pipeline which might affect us - things which we would not be aware of. It is very reassuring to know that we can leave our investments and pensions in the capable hands of your company. When visiting your office for an update of our portfolio, our experience is of being welcomed into a happy and relaxed environment. We feel our investments are in capable and competent hands. Excellent service and communication. I find the staff to be very proactive in forward thinking advice. I have always been completely satisfied with the advice on my investments. Any requests and queries have always been dealt with in a professional manner, satisfactorily & quickly. I have been happy with the service for a number of years. I am very happy with the service I have received from John over very many years. The advice has been considered and very effective. Additionally, the presentations I have attended I have found interesting and thought provoking. Becketts, in my opinion, is an operation that provides an excellent package which meets my requirements. We have been very pleased with Peter and his colleagues' ability to explain details clearly and work through some difficult interactions with pension administrators. Very satisfied with the way Louise found a pension provider to suit my requirements. Also very satisfied with the way she explained the items I didn’t quite understand in a friendly professional manner. I would recommend Louise & Becketts to a friend. My experience of Becketts has been of the highest standard. 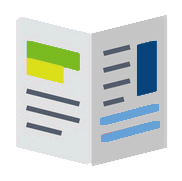 The information provided and the consultation has been very clear and is followed up with file notes. They are very professional and experienced Financial Advisors. I find Simon Bonnett very helpful and understanding - taking his time to explain things that I am not sure about. Very satisfied with the service and quality of the information received. The help and advice given to me and my wife is much appreciated. It is often difficult to understand all the different requirements and with your assistance it made the process much easier. I found dealing with Becketts and John Horsman both very informative and helpful explaining the pension plan that was right for me. Always good service, good advice and really nice/friendly people. Meetings are a combination of informative and friendly. I feel that any advice or proposed actions to be taken are thoroughly discussed with me and any lack of understanding on my part is resolved with goodwill. Fill in the form or contact one of our offices. We look forward to hearing from you. Our modern ground-floor offices are wheelchair-friendly and provide disabled parking outside the door. 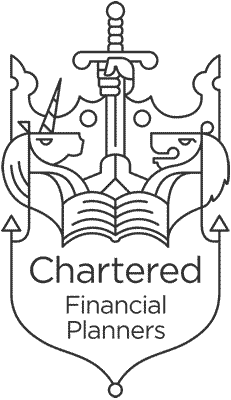 Chartered status is awarded by the industry's professional body, the Chartered Insurance Institute, and Beckett Financial Services has been granted Chartered status every year since 2011. The CII awards Chartered Status to a limited amount of firms which meet rigorous criteria relating to professionalism and capability. Firms must have a proven record in providing the highest level of service to their clients, demonstrating a culture of integrity, as well as the attainment of and commitment to the Chartered Insurance Institute's professional qualifications. Chartered status is awarded by the CII using a points-based system with a minimum entry requirement of 50 and Beckett Financial Services achieved 120 points. All Chartered Financial Planners commit to the CII's Code of Ethics, reinforcing the highest standards of professional practice in their business dealings.